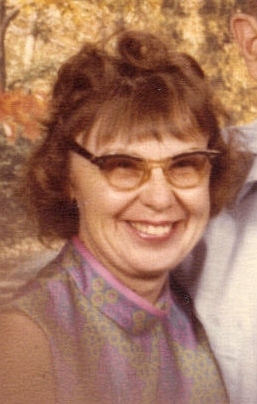 Bette M. (Richter) Troup died March 6, 2012 at the Golden Living Center, Madison S.D. She was born June 9, 1928 to Mattee (Kampmeyer) and Art Richter in the Dell Rapids hospital. Bette grew up on the family farm at Lone Tree, Moody County. She attended Egan Consolidated School, graduating in 1945. The Richter family moved to Colman where Art and Mattee owned and operated Richter Hardware. In Colman Bette met Kenneth Troup, recently discharged from the military service, the son of Robert and Grace Troup. They were married in 1947 in the Colman Methodist Church. The young married couple lived in Sioux Falls, Madison and Fargo, ND before moving to Arizona, where they lived for the next 40 plus years. Bette worked for over 30 years at PenMor, a Gerber company making children's and women's clothing. Ken died in 2000. Bette left Arizona in 2007, moving to her sister's home in Lincoln, Nebraska and later to the Golden Living Center in 2011. Bette is survived by: her sister and brother-in-law, Delwyn and Ramona Dearborn, Lincoln NE; a sister-in-law Chris Troup residing in Rough and Ready, CA; cousins, nieces and nephews. Especially significant is niece Lori Dearborn and grand niece Skye Dearborn who were the sunshine in Bette's days. A memorial service will be held Friday, March 16th, at Barnett-Lewis Funeral Home, Sioux Falls with visitation at 2:00 PM. Devotions led by Rev. Don Veglahn at 3:00 followed by fellowship, sharing and refreshments. Interment will be in the National Military Cemetery near Phoenix, AZ where Ken is buried.